Don’t just get behind the wheel of you dream car, but your dream car in your dream color! Every Jaguar model comes in black – a classic color that is sure to stand out on Red Bank streets. Jaguar Monmouth has the black Jaguar model you are searching for in stock today, so there has never been a better time to take it out for a test drive. The new Jaguar F-TYPE in black or the new Jaguar F-PACE in black offer a number of excellent features to accommodate all you want from your car! 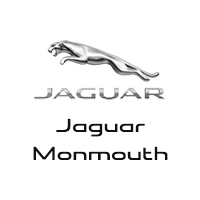 Find Your Black Jaguar model at Jaguar Monmouth! We understand that purchasing a new car can be a stressful process, but it does not have to be! You can take the uncertainty out of the process by valuing your trade-in and calculating your monthly payments all online. Contact us today to learn more about our inventory or to schedule a test drive!